The DreamStation-Pro Extreme for Magix Vegas Pro features the latest Intel Core i7X and Core i9x based workstations for video editing, compositing, color grading and post production for 2018 and beyond. This new workstation is based on the Skylake-X architecture from Intel and offers up to a 14 Core CPU, 128GB of RAM, and multiple PCI-e storage options, GPU options, making this the most powerful single CPU system available today. We offer 3 different cases for your DreamStation system. All of our cases offer front removable hard drives. In addition to the convenience, the 'back-plane' offers superior power and cabling stability. 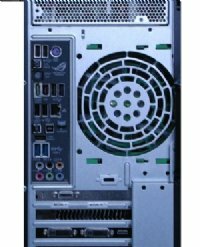 Our first case has (4) Front accessible removable SATA bays, a 900W Platinum Rated High Efficiency power supply, and 2 additional bays for CD/DVD/Blu-ray optical drives or an additional hard drive. 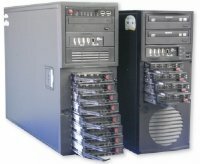 Our second case offers 8 removable SATA bays and includes a 1200W Platinum Level High Efficiency power supply. Choose the 8 bay case with a rack option if you'd like to rack mount the 8 bay case. Our power supplies are all Platinum LEVEL 94% Efficient. That means that they output 94% of the power they take in. For example, even our Single Core i7 6950X with every slot filled, 8 hard drives, and the CPU at 100%, the system never gets above 450 watts, leaving plenty of headroom. This means that a powerful system like this will not output a bunch of wasted wattage in the form of heat. Our Dual XEON system never gets above 800 Watts even with dual GPU cards, and every slot filled with all cores and GPUs running at peak. UPDATE: Intel is currently experiencing severe shortages with the Core X series. This is affecting our ability to ship systems based on these CPUs. Our estimated shipping times are now 2 to 3 weeks. Our base CPU is the Core i7 7800X which features an 6 Core/12 Thread processor with a 3.6GHZ clock speed, 28 PCI-e lanes and a boost speed of 4.5GHZ. If you are not planning on adding a lot of internal devices, this CPU is a good option. Intel’s new Core i9 series bumps up the PCIe- lanes to 44 allowing for RAID controllers, I/O devices, and high speed networks cards all in the same system. For the DreamStation-Extreme, we offer a 16GB, 32GB, 64GB, and a 128GBoption using the latest DDR4 standard. DDR4 offers much higher bandwidth at a lower voltage. The amount of RAM can impact your workflow. If you mainly work in SD/HD up to 1080P without a lot of filters or effects, then 16GB is fine. 32GB is the sweet spot for 1080Psequences and helps with 4K. If you use Premiere or After Effects for multi-layer projects in 4K and above, then select the 64GB or 128GB option. 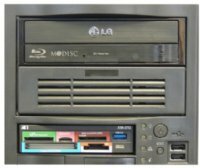 For this system, we include a Blu-ray recorder that supports BD-RE at 16x, DVD's at 24X and CD's at 48X. 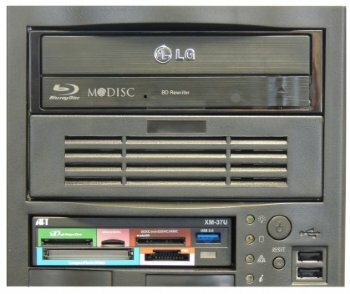 Alternatively, you can choose a standard DVD Recorder that also burns CD's. The Blu-ray burner will handle both 25GB and 50GB disks. Cyberlink DVD Utilities are included with each drive. Magix Vegas Pro now takes full advantage of nVIDIA GPU for acceleration with effects playback and rendering. Our 'recommended GPU' is the NVIDIA GeForce GTX 1070. The GTX 1070 offers 8GB of RAM, 1280 CUDA Cores and a memory bandwidth of 192GB/sec. This card is well suited for 1080P editing and 4K editing. Our 'sweet spot GPU' is the NVIDIA Geforce GTX 1080ti which offers 11GB of GDDR5X RAM, 3584 CUDA Cores, and a memory bandwidth of 484GB/ sec. If your workflow involves multiple formats, layers, multiple filters and effects, this is the card to get. For 'ultimate GPU performance' in the GeForce series, choose the Titan Xp. This card offers a almost irresponsible amount of memory bandwidth clocking in at 547 GB/s. The card is really only useful for heavily layered After Effects projects projects especially in 4K or above or Vegas Pro projects that have multiple layers with different formats. Our 'basic GPU' is the NVIDIA GeForce GTX 1060. The GTX 1060 offers 6GB of RAM, 1280 CUDA Cores and a memory bandwidth of 192GB/sec. If your projects don't involve effects, multiple layers, filters or high resolution pictures and video clips, this card serves as a great starting point. You can also choose a Quadro card for this system. All of the Quadro cards support 30 bit color (about a billion colors) using the DisplayPort connections. 30 bit color is important for accurate color correction using programs like Adobe After Effects CC, the new Lumetri Deep Color Engine in CC, and Black Magic's DaVinci Resolve when using a broadcast monitor. Applications which support OpenGL 'only' may require a Quadro card (like AVID Media Composer). Quadro cards also offer ECC memory, which translates into fewer render errors and crashes are less likely. NVIDIA Quadro cards are well known for their stability and support for all professional video applications. Windows 10 Pro has proven to be very stable and much faster than Windows 7 since it's release in 2015 All of the major software makers now support Windows 10 including Adobe CC 2015-2017, AVID Media Composer 8.3 and higher, Grass Valley EDIUS, Magix Vegas Pro, Davinci Resolve, and most plug in makers. As part of your install, we turn off the annoying parts of Windows 10. You won't get suggestions for the latest game and we can control the Windows updates. Windows 10 is required for this system because the new Intel Skylake-X processors used in this workstation do not support Windows 7. If you require Windows 7, then check out our DreamStation Extreme for Adobe CC using the Broadwell chipset. The Broadwell platform is only available while supplies last.